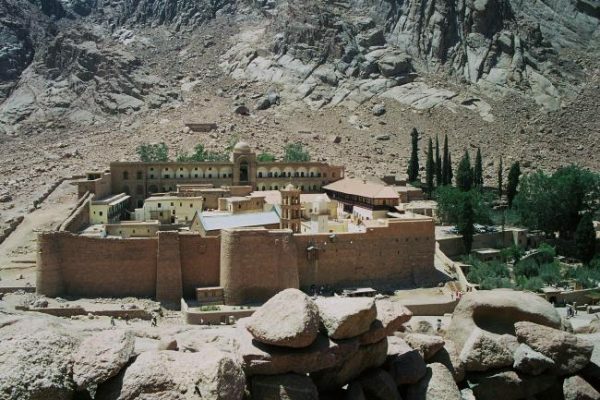 One of Christianity's holiest sites came under attack, during a fire exchange between Egyptian police and ISIS gunmen at Mount Sinai. The incident took place at the Greek Orthodox Monastery of St.Catherine, a site of pilgrimage for christianity. ISIS claimed responsibility for the attack, which started when gunmen opened fire on an Egyptian police checkpoint near the monastery killing one policeman and wounding four others. According to the officials, the gunmen were shooting from an elevated hilltop overlooking the police checkpoint just outside the monastery, which is located in a remote desert and mountainous area in the southern part of the Sinai Peninsula, where, according to scripture, God spoke to the prophet Moses from a burning bush. Only monks and clergy were inside the monastery at the time, since the site, a UNESCO World Heritage Site which was once a popular destination for pilgrims, has been closed to the public since 2015, for security reasons. There are no reports of damage to the compound, which is heavily fortified (the walls were built by the Byzantine Emperor Justinian in 527) and guarded by security forces. After the initial fire exchange, the gunmen rereated.